ORIGINAL AUTOGRAPHED live performance acrylic painting on canvas of Ween at The Fox Theatre in Boulder, CO on December 3, 2005 by the renowned artist Scramble Campbell. 24x48 inches on stretched canvas. 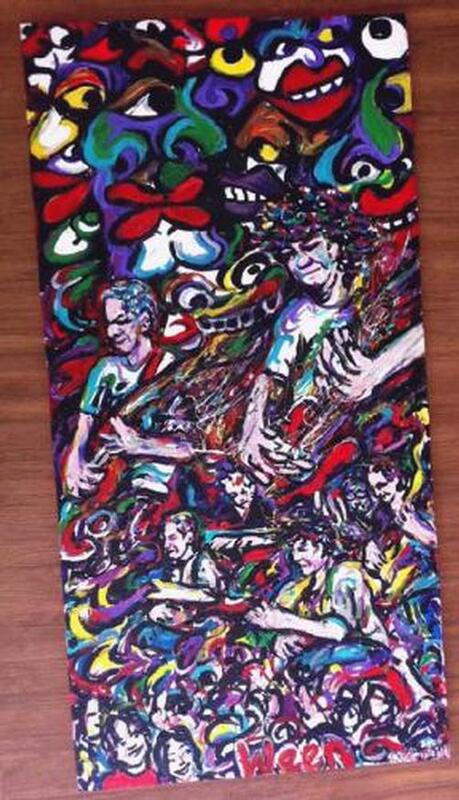 SIGNED BY Dean Ween, Gene Ween, Dave Dreiwitz, Claude Coleman, Jr. and Glenn McClelland. 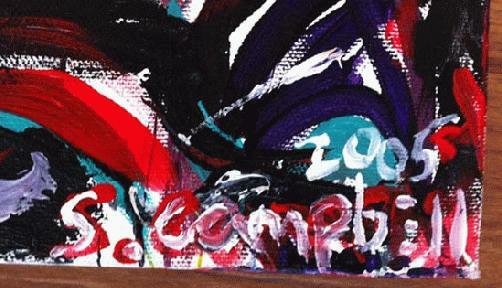 Signed on the front and back by the artist Scramble Campbell. Includes a Certificate of Authenticity.